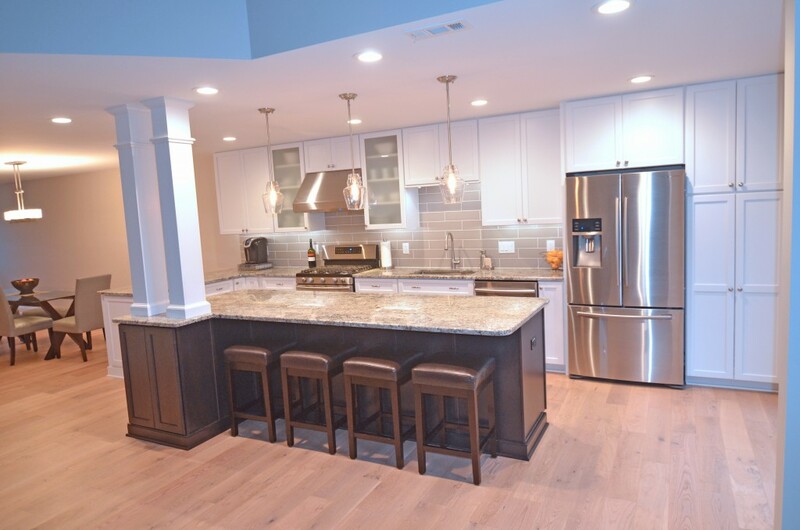 When we were approached at the Philadelphia home show this past year by David and Tracey, we knew right away that they had a fun project for us. They presented a challenge to Next Level Remodeling. “Come up with a design that we cannot say no to and you have the job”. We got to work right away and came up with a design we felt would meet their wish list and provide them with the desired WOW factor. Not long after we presented our concept, Dave and Tracey were full pot committed in allowing us to build their dream kitchen renovation. Six weeks later, we completed this beautiful space and delivered our homeowners the dream space they had been thinking about for years prior. Next Level Remodeling looks forward to building David and Tracey’s NEXT project and we are grateful for the wonderful opportunity to get creative and share our vision with a much deserving family. Next Level Remodeling is a Home Improvement Contractor committed to building one of a kind spaces that last a lifetime.